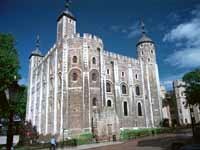 The Tower of London is perhaps as famous for its traditions as its imposing structure, located on the Thames River. It is guarded by a special band of Yeoman Warders, known as Beefeaters, and dotted with several large, black birds - the ravens. Legend has it that if the ravens ever leave the Tower, a great tragedy will befall England, and to this day the birds are protected by royal decree. The Tower's history dates back to the 11th century, and each new monarch has played a role in its growth and development. It also houses Britain's famous crown jewels, a spectacular display of some of the world's finest gems and workmanship. The Tower is next to Tower Bridge, another famous London landmark. Opening times: Tuesday to Saturday, 9am-5.30pm; Sunday to Monday, 10am-5.30pm. Opening hours are slightly reduced in winter. Admission: £24.80 (adults), £11.50 (children under 16); concessions and discounts for advance/online booking available.